Wednesday April 1st, we (LWB Company and Trainees) performed at the Salvation Army Rehab Center in Syracuse. 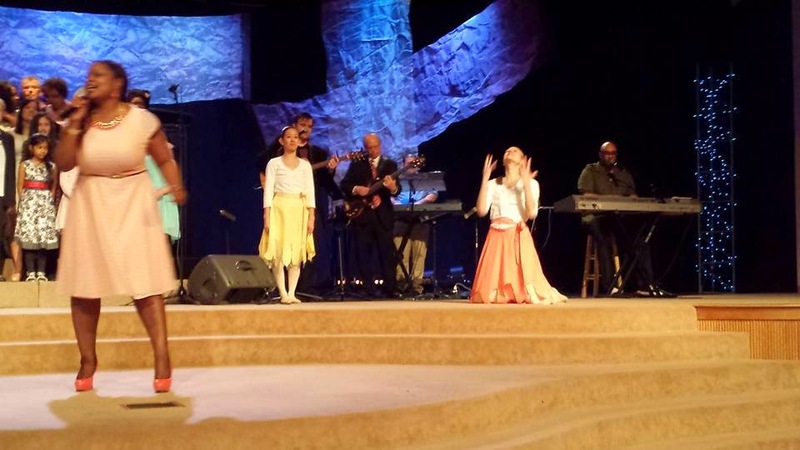 We performed Follow the North Star, our story ballet that shares a message of hope and freedom in Jesus Christ. It was a very special evening. We had a large audience made up of men and women living at the Salvation Army Center. Our audience was very engaged in the performance and was engaged especially toward the end of our time. After the story ballet, Crisanna (Trainee) share her personal testimony of salvation in Christ and Ashley (Director) shared a message of leading others to hope as well as the message of salvation. Several of our audience members indicated that they prayed the prayer of salvation for the first time. After our testimony and salvation message time, we ended the program with "Spirit Break Out" a ballet piece that is really a prayer asking Thy Kingdom Come "We want to see Heaven touching Earth." What a joy to know that God answered that prayer. That He was glorified and that He lead "enslaved" people to freedom in Jesus Christ. We are so grateful to be a part of God's Kingdom Work here in Syracuse, NY.